Cricket Rules : Cricket has been a widely admired game since as far back as the early-mid 19th centuries. Its origins can be tracked into the middle ages in the non-descript alleyways, farmsteads, and nooks of north-western suburban and rural England – but that long history is a talk for another day. In this century, cricket has overtaken all other sports, bar association soccer, to take the place of the second-most popular sport across the world. As opposed to the adrenaline-fuelled simplistic dynamism of football, cricket as a whole is much more complex and has a variety of forms with different rules and regulations, which themselves vary in different countries, leagues, and matches. Here, we will attempt to outline the core functional rules and a general idea of what the three forms of cricket are like in order for you to better understand the game. If you are a beginner with no prior knowledge of cricket, the basic building blocks would be a good place to start. To be as brief as possible, there are two teams with 11 players each, and the team that scores more runs by the end of the game will be crowned the victor. When the game starts, a toss determines which team gets to decide who will go first. The team can then either chose to bat or to bowl. When the team bats, 10 selected players among the 11 will come to bat in pairs of two, and the opposing team will bowl. Their turn, for which the field term is their innings, ends either when a select number of balls have been played, or when all of the 10 batsmen have been eliminated. When either of this happens, the teams will switch roles, and the team that was bowling will get to bat, and vice versa. When the pair of batsmen come to bat, they occupy two opposing sides of the pitch. One of them is the striker’s end, the other is the non-striker’s end. The nation’s striker end is the bowler, that is the player who delivers the ball, will run up and bowl, and the striker’s end has the acting batsman who will be defending against the bowler. The batsman’s primary tool is the cricket bat, whose blade, as per ICC directives, must be at most 38 inches in length and 4.25 inches in width. With it, the batsman has two goals: firstly, to defend his wicket, and secondly, to score runs. Runs can be scored in two ways. The first method is running down the crease, in which the batsman hits the delivered ball away from the wicket and then attempts to run towards the opposite crease, while his partner does the same. If they both reach their opposite ends, it counts as one run. They can then continue to take another run by running to the opposing creases again if there is enough time to do it. The second method is the simplest one conceivable: to hit the ball across the boundaries of the field. If the ball touches the surface before reaching the boundary, it counts as 4 runs. If the ball flies across the boundary, it is called an over the boundary, it counts as six runs. A sixer is the most number of runs a batsman can get out of a normal delivery. It should be noted that the bowling team is also a fielding team. Fielding is in itself a metagame that involves both deliberated strategizing and spur-of-the-moment reflex and is, therefore, a complex subject that is impossible to cover in short. The basic idea, however, is that as the bowler bowls, the rest of the team stands in various positions of the field, as dictated by the team captain. There is always a mandatory wicket-keeper, who stands right behind the wicket of the opponent striker. The other nine can be arranged in a vast array of compositions and orders. A commonly confused concept is the offside of cricket. 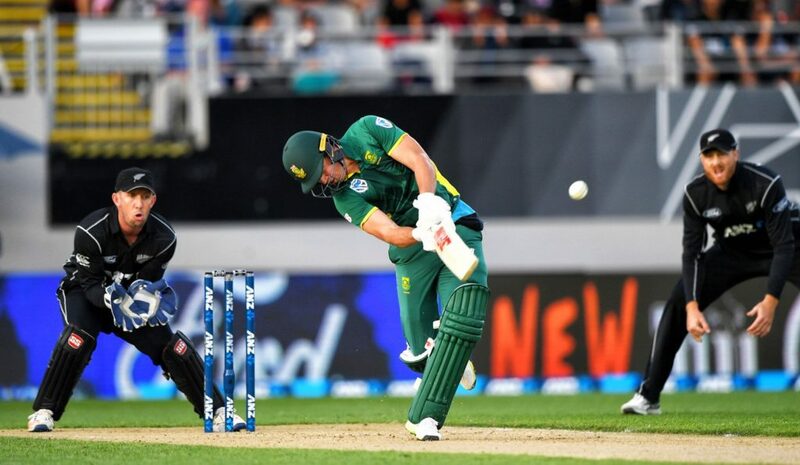 When a right-handed batsman bats (the case will be the inverse for a left-handed batsman), the half of field towards his left, where the leg umpire stands, will be the leg side, and the other side will be the off side (there are further subdivisions, e.g. the offside can be categorized into the cover and the point, and then fine-tuning of those sections, such as a fielder in the deep cover region or extra cover region). The bowler’s primary objective is to eliminate the batsman at the striking end. A batsman can be bowled out in ten different ways. Bowled out: the ball hits the wickets directly. Caught out: the batsman hits the ball, and it gets caught by a fielder. Stumped out: The batsman swings and misses the ball, and the wicketkeeper catches it and pushes it into the stumps. If the batsman cannot react and return to the crease before it, he is stumped out. Every time six legal bowls (i.e. not counting no balls and wides) are bowled, it is considered an over. A new bowler can take over the role after the end of each over. In Test cricket, there is no limit to the overs a team can play. Their innings is over only when all 10 batsmen are eliminated. A test match usually lasts around 5 days. The same rule applies to limited-over crickets, except after a certain amount of overs, the innings automatically ends. There are 40 or 50 overs for an innings in One-day cricket, which lasts roughly a day, and 20 overs for an innings in Twenty-20, which can be wrapped up within an hour. The dauntingly expansive rules, nuances, and complexities of Cricket can take years to understand completely – many of which one can only learn by watching the game. However, even if this is the bare minimum, these rules mostly cover all the basics, and now you are good to go if you want to tune in for the upcoming ODI Matches. What is Yo Yo Test and how it became a Selection Standard for Cricketers?